Four 2-months Old Pups (1 male & 3 females) are in urgent Need of Permanent Homes. 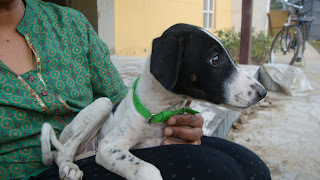 They are being Taken Care of a Foster Family in Gurgaon, who have taken care of the De-Worming & Vaccination of all Pups. For Adoption, contact Karthik at 9540351702 or 9650600741.